A pool area is just a pool area without some great landscaping … at least that’s our opinion. Great landscaping can beautify your backyard, turning a basic pool area into your own miniature oasis. From privacy plants and decorative grasses to custom water features, the options are endless when it comes to personalizing your pool area. 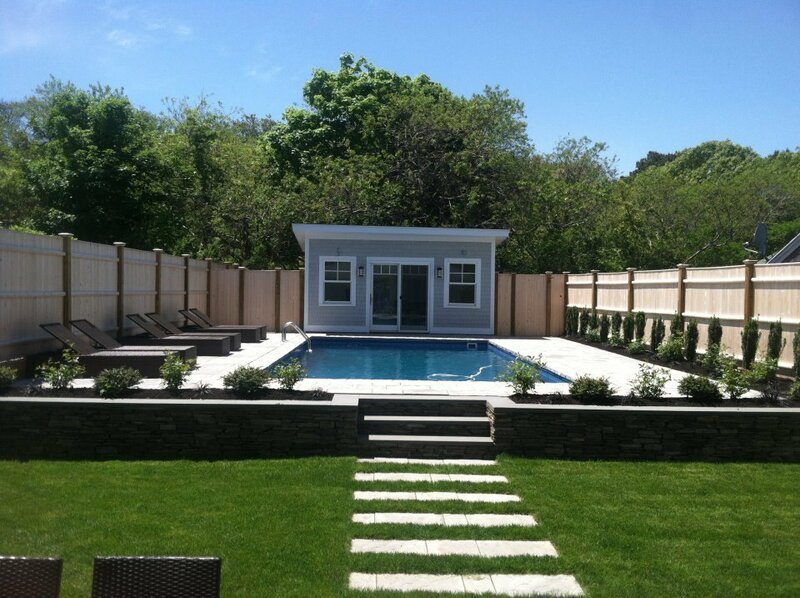 Whether you’re remodeling or revamping, our experts at Shoreline Pools, Inc. are ready to help you design the pool (and backyard) of your dreams. Rocks can be a great addition to your pool area, coming in a variety of styles (think river rocks) that help achieve a clean and polished look. Rocks also help with pesky weeds! Raised garden beds are a wonderful way to integrate color and exotic plantings to your pool area and can be changed out year to year if you desire. Hedges are a low-maintenance way to achieve beauty (and privacy) in your backyard year-round. Keep in mind though that hedges and shrubbery ofter require a little bit of maintenance to keep them looking their best. Another thing to consider is the types of shrubs you choose for your pool area. Plants that shed leaves or petals aren’t always the most pool friendly as they can get tracked into water and clog up filters. Check with your local landscape architect (or us!) for recommendations. Ornamental grasses are the perfect, low cost way to incorporate a beach-like atmosphere by your pool while also adding privacy. The best part: they’re super low maintenance so you don’t have to worry about falling leaves or debris. A water feature adds a touch of class to any outdoor space, be it a custom waterfall or a freestanding fountain. Depending upon your budget, a water feature can be integrated right as part of your pool or as a decorative element to your landscape.